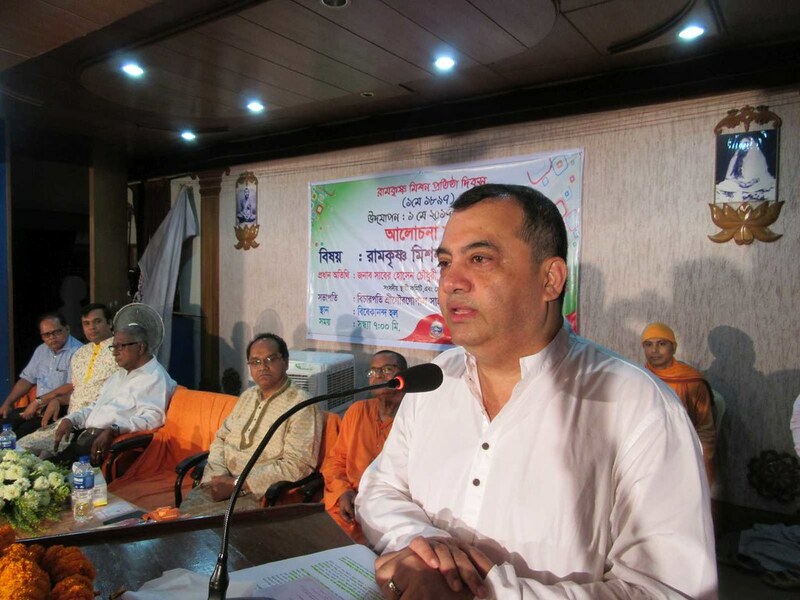 Ramakrishna Mission, Dhaka observed the Foundation Day of Ramakrishna Mission with festivity and spiritual fervor on the 1 May 2017 with day long program. 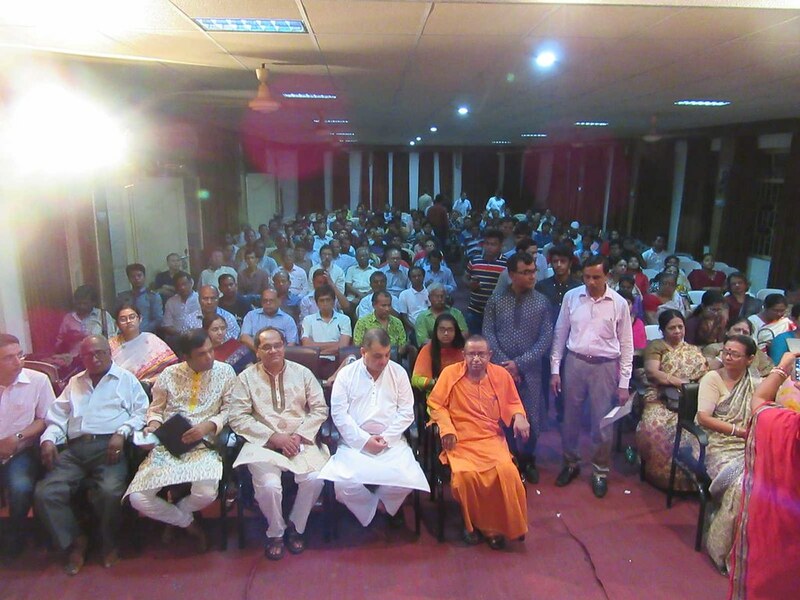 A discussion meeting on ‘Ramakrishna Mission and the Present Society’ was held at 7:30 pm at Vivekananda Hall attracting an august gathering of about three hundred people of different faiths including devotees and distinguished personalities. With Mr. Justice Gour Gopal Saha in the chair, the discussion meeting was graced by Mr. Saber Hossain Chowdhury, Chairman, Parliamentary Standing Committee on Ministry of Textile and Jute, Bangladesh National Parliament, and President, Inter Parliamentary Union as the Chief Guest. 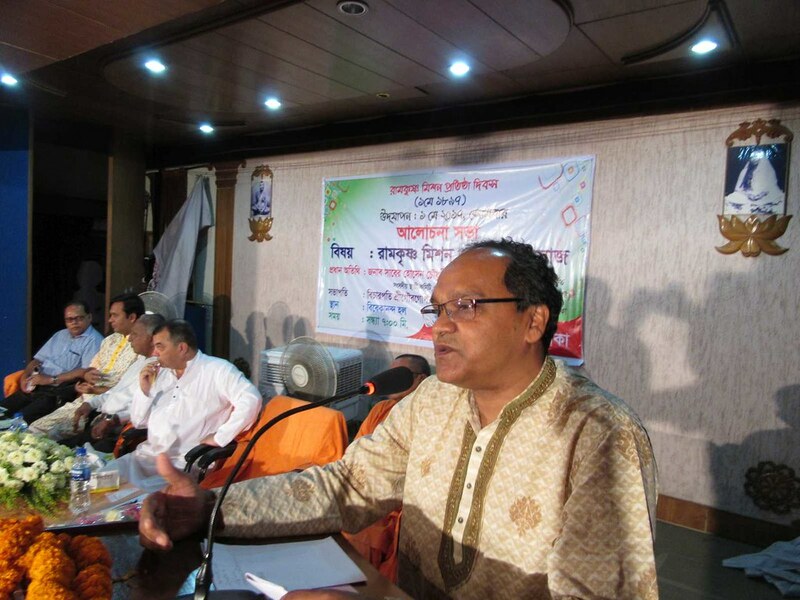 Prof. Dr. Abu Muhammed Delwar Hossain, Dean, Faculty of Arts, University of Dhaka, as Honorable Guest, Dr. Nimai Karmaker, Associate Professor, Ophthalmology Department, Rangpur Medical College and Swami Sthiratmananada, Adhyaksha, Ramakrishna Ashrama, Chandpur as Special Guests and Mr. Miltan Kumar Dev as the speaker, addressed the meeting while Swami Dhruveshananda, Secretary Ramakrishna Mission, Dhaka delivered welcome address. 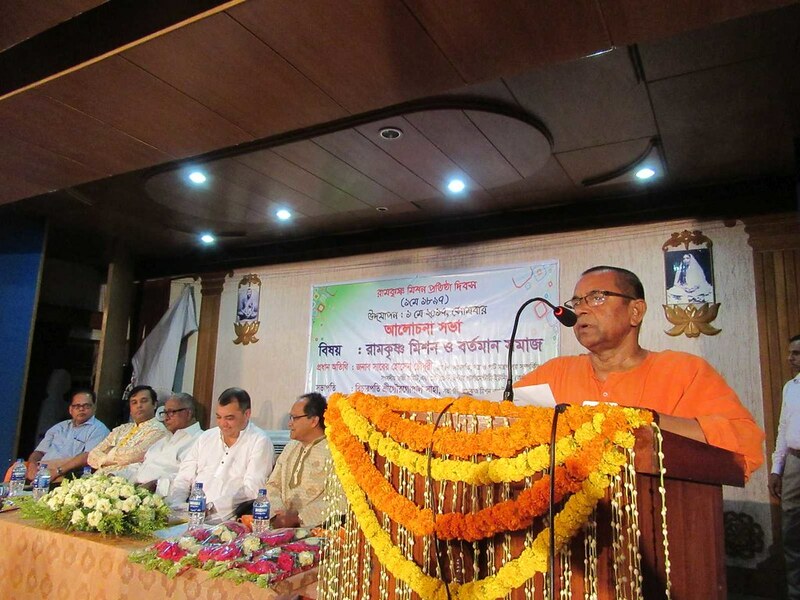 Citing the philanthropic activities of Ramakrishna Mission in different fields like health, education and spirituality, the Chief Guest said, ‘It will not be an exaggerated statement to say that the works rendered by Ramakrishna Mission for the cause of humanity is worthy of being awarded Nobel Prize.’ In his remarkable speech he also declared that as a president of Inter Parliamentary Union he will propose the name of Ramakrishna Mission for the Nobel Award in Peace in the meeting of Nobel Committee as the noble committee for peace is composed of the members of parliaments in different countries of the world. A drama named ‘Nija Niketane’ was staged by Vivekananda Theatre at 5:30 pm at Vivekananda Hall. The program is also marked by special puja of Sri Ramakrishna at the temple in the morning session. Around 1000 devotees took prasad at noon. Some of the esteemed Dailies of Bangladesh published the news of the Foundation Day Program with great importance.